Fallow: —adj, 1. (of land) left unseeded after being ploughed and harrowed to regain fertility for a crop. 2. (of an idea, state of mind, etc) undeveloped or inactive, but potentially useful. It took me a few different dictionaries to find this particular definition of fallow. The first few definitions I read mentioned fallow as “left unseeded” but didn’t mention the part about “to gain fertility for a crop.” That’s the most important part, to my mind. There are times in our lives as artists that we put out a lot of content or product. Times when our energy is high and we create and create. Then there are times when we must lie fallow. Not because we are lazy or uninspired, but because we must “regain fertility” in order to create again. For the past few months, I’ve been in a very creative place. I’ve written an e-book for blended families that I’ve been thinking about for years, I’ve created and delivered teleclasses and in-person classes, I’ve blogged and journaled and created an outline for a nonfiction book I want to write. When I was on vacation last week, I fully expected my creative output to continue. My son and I were alone together in a comfortable rented house and I expected to enjoy being outside with him (we were near the beach) and I expected to work on my creative projects when he was sleeping. But that’s not what happened. All of a sudden, I didn’t feel like doing anything. When my son napped the first day of our vacation, I cleaned the kitchen, then started prepping food for dinner. That’s when I noticed that I didn’t feel like writing. Rather than berate myself for my lack of motivation, I just observed. I asked myself what I wanted to do. For a day or so, the answer was, “Watch TV.” I went with it: I saw an episode of The X Factor, which I’d never seen before but totally enjoyed. I was on the edge of my seat, holding my breath, listening to all these hopeful young people singing their hearts out. On Wednesday, I didn’t feel like watching TV anymore. I wanted to read. And journal. So I did. By now it had occurred to me that perhaps I needed a little downtime. The word “fallow” popped into my head and it seemed to describe how I was feeling. I remembered the times I’ve run a marathon: I don’t usually run for a few weeks after I finish. I “lie fallow” for a while before I get itchy to start running again. The same thing happened with my writing. On the very last day of my fun and relaxed vacation, an idea for a novel popped into my head so vividly that I grabbed my iPod and recorded about 5 minutes worth of material without stopping. Now I have a story to write when NaNo begins. I can hardly wait! How do you feel about your fallow times? 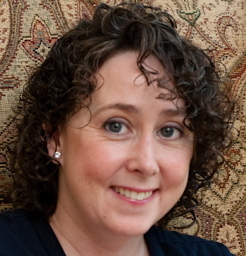 Diane MacKinnon, MD, is currently a full-time mother, part-time life coach. She is a Master Certified Life Coach, trained by Martha Beck, among others. She is passionate about her son, her writing, and using her mind to create a wonderful present moment. Find her life coaching blog at http://www.dianemackinnon.com/blog. Thanks for reading and thanks for your comments. I agree, continuous pressure does not help me produce anything worthwhile. Having the experience of letting myself off the hook and then getting the idea for the novel helped confirm that I was on the right track. I think I attach a judgement during my fallow times and I get scared. That’s easy to do, integrativesomaticsinstitute. Try going with it and see what happens. Just observe. It’s important to follow your gut. I don’t believe creativity can be forced and the more we try, the worse it gets. It seems pretty natural the creative energies within us ebb and flow and we should expect low and high times. Clearly, you are in touch with this process within yourself and wisely recognize and accept it as a common occurrence. Quiet observance is a form of meditation, ya think? No judging, no expectation…but letting yourself just BE. By offering less resistance, I think we actually come around more quickly to another starting point. Also, it allows us to rest and refresh ourselves so we’re more open to new ideas. Thanks for your comments. I agree with everything you said (isn’t that nice when that happens?) The past few months have been extremely busy for me as a writer, but I’ve also interviewed authors and had conversations with other writers and some ideas all sort of came together that week that I wasn’t writing. I’m looking forward to my next fallow time! I love that you grabbed that ipod! Great post! Wow, this is one of the most important and inspiring blogs I’ve read in a long time.Thank you! It explains a lot and I will be sharing this blog with others. It fits right into the realm of not beating myself up for not being productive during certain times in my life. It’s just how the flow works for me. Thank you for being in tune to what your needs were and for writing about it. You are welcome. I’m glad you found the post helpful. We, as a culture, are really good at beating ourselves up, and it doesn’t serve us. I’m teaching myself this over and over. Times like I wrote about really help the lesson sink in. Great post, Diane. I enjoy learning how to become more aware of my thoughts through your posts and experiences. I try to take 1 Saturday a month as ‘fallow’ time, although I always thought it was just ‘vegging’. 🙂 Now it feels more important! Thanks for your comments. I never veg–but I do “multi-shirk” quite often! Seriously, though, I do think we need to give ourselves permission to “fill the well,” as Julia Cameron says. Creative work ebbs and flows as we do. I work (more or less) full time as a financial adviser. Handling money is boring, mundane, yet risky. Writing is a lot more fun. I go for long solo walks at E Rock once or twice a week and think about stories, and in some ways move into that fantasy world. That rejuvenates me. When I take a vacation, it is a vacation from handling money, not writing; writing is recreation. I take nine months to write a story I could write in three. If I was a full time writer and had to put out that story in three months, I’d probably hate it. Thanks for your comments. I agree, writing is fun for me. That’s why I was so surprised when I really didn’t feel like writing when I was on vacation. That’s usually prime writing time for me. I’m so glad you enjoy writing so much. It’s always inspiring to hear that from other writers. Thanks for your lovely comments. I agree, our society doesn’t really value anything that it considers “unproductive,” so many people walk around feeling depleted all the time. Unfortunately, we’re also not taught (as a society) how to tune into our bodies and our emotions so we don’t realize there are simple things we can do for ourselves that will fill us up. Such an inspiring reminder that we all need a little downtime. I’m disabled so I have a body that reminds me when I have to take it easy, but am so often critical of myself for the things that I’m not doing. I often have times where I have plenty of ideas for the voluntary work I do, but this past week my brain has produced nothing!!! Your post has really helped me put it in perspective – thanks. In my life coaching work, I talk about the body compass with my clients a lot. Most of us are taught to ignore it. You sound like you have learned (the hard way, I’m sure) to pay attention to your body compass. If you allow yourself to lie fallow, eventually you will want to create, do, or write again, just like the field that lies fallow for a time until it’s full of nutrients and can support growth again. Thanks for reading and thanks for your thoughtful comments. I loved your running example. I ran a half marathon 3 weeks ago, and I’ve been a slug ever since. I always beat myself up over it until I realize that I always do this. It’s just part of the process. Yeah, doing something that big requires a big rest if you ask me! Congratulations on your half-marathon! The only time I’ve run the day after a marathon is when I did the Dublin Marathon in 2003 and a group of us went running on Galway Bay the next evening. I ran a couple more times that week (since I was with a bunch of runners) but as soon as I got home–no more running for weeks. That’s how it always goes for me and by now, I’m used to it. In my writing life, I’m not so accepting of my process–but I’m trying! Happy running and happy writing! Thanks for your comments! I’ll check out your blog. Thanks for reading and thanks for your comments. I agree, sometimes when I’m productive in one area of my life it spreads to other areas. Since my son was born, I’ve used vacation times (especially when my husband was around) as times to step up my writing, but maybe that’s no longer what I need. I’m writing almost every day now, so I think my next vacation I’ll take off from writing as well as other work–unless, of course, I really feel like writing! “Life is what happens to you while you’re busy making other plans,” John Lennon told us. I think that’s true of inspiration, as well. I like that quote! I agree, I always seem to get my best ideas when I’m away from my desk. I’m having a fallow time right now, actually! And was kicking myself for it. Thank you for making me realize that sometimes not writing is ok, too. Just go with it! See where it takes you. Everything changes, so this fallow time will change, too. I think the more you resist it, the harder it will be to get past it.